Why do companies advertise with Cheshire Media? Cheshire Media is the ONLY regional business to business magazine to offer insightful information to business across the whole of Cheshire, with advertising opportunities both in print and online. Our distribution network is targeted directly to business owners and key decision makers to endure your business is seen by the people that matter. Our advertisers find they save money because of our generous reward program. If you want to deliver a consistent advertising message across different marketing platforms why to anywhere else? We have been really fortunate to work with some great companies. 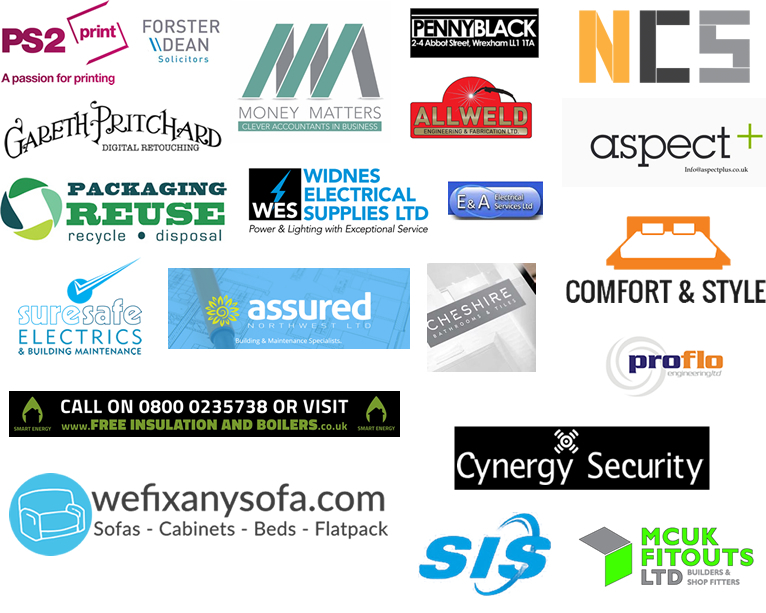 Here are some of our regular advertisers.